Statement jewelry has taken the world by storm, so it’s no surprise that statement earrings are what everyone wants. These earrings are bold and unique just like you. Statement earrings allow you to dress up a toneless office look and draw attention back to your lovely face, where it belongs! Check out some of our favorite fashion-forward baubles, and you’ll fall in love with them just as fast. When you’re rocking bold earrings, there’s no need to wear additional jewelry. They will stand out all on their own. This makes them the perfect adornment for atypical necklines, such as halter-tops or deep V-necks. Your ensemble shouldn’t have to compete with statement earrings, so make sure it’s classy and simple. This will give your earrings the strongest impact. Not only can statement earrings display a large diversity of materials and textures, but they also add the perfect touch of color to your ensemble. 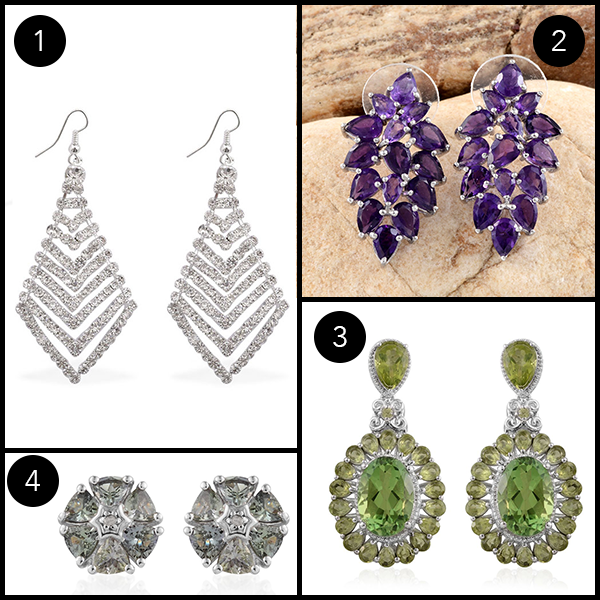 If you’re not into large, unique designs for your earrings, opt for a pop of color instead. It is important to remember the shape of your face when shopping for statement earrings. The pair you choose should balance and flatter your face. Try finding earrings that don’t match the same shape of your face. If you have a round face, avoid hoop earrings because it will make your face seem rounder. Instead, opt for long dangling earrings to elongate your face. The shape will draw attention to the cheekbones. Round statement earrings like hoops and tear drops look great for faces with angular jaw lines for the same reasons! No matter what design, color or material you choose, the most important thing is to go with your personality. Don’t let anything limit your creativity and personal style. Wearing statement earrings are a great way to display your personal style and to liven up your office ensemble. Be sure to check out our broad selection of statement earrings on the Liquidation Channel!